Perfect Craftsman Two Story Home! Best price in community with Tons of Upgrades! 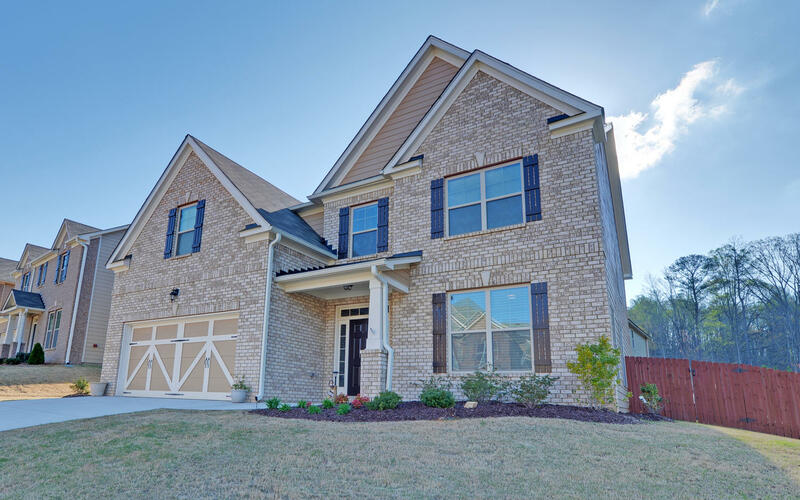 5 Bedrms, 4 Full Baths..Spacious Formal Living Rm, Dining Rm w/Coffered Ceilings! State of the Art Gourmet Kitchen w/large working Island open to Family Rm w/Fireplace. Stainless Steel appliances and 42 "Custom Cabinets. Private Bedroom Suite on Main! Wonderful Master Bedroom w/Spa Bath. Wow! Large Secondary Bedrooms. Must See upstairs Media Room. Extensive Landscaping, Fenced Backyard and Better than new! Great Mill Cluster School District. Home is in perfect condition and priced to sell!! Listing provided courtesy of La Roca Realty , LLC.